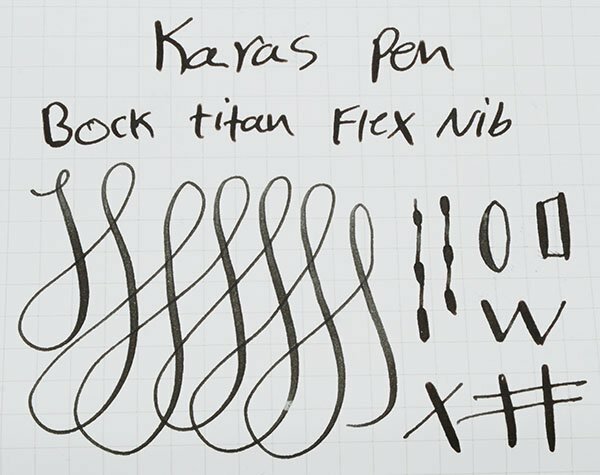 Karas Kustoms Fountain K Mini Pen in original box. 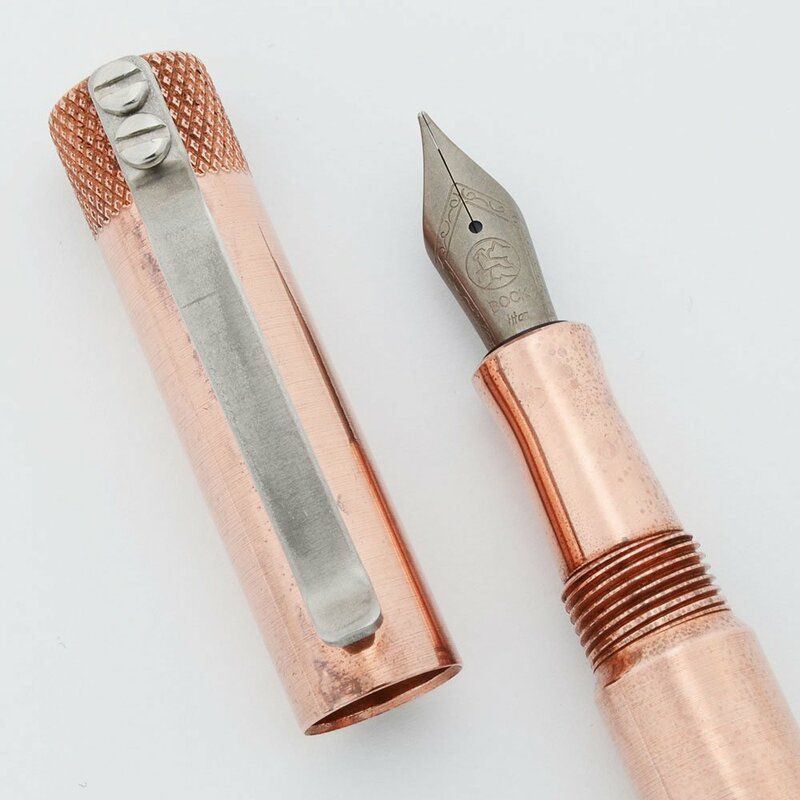 This is the copper version with copper section and broad titanium semiflexible nib. Excellent condition. Cartridge and shorter converter only. Product Name Fountain K Mini Pen. Manufacturer and Year Karas Kustoms, USA -- 2013-2018, the company formed around 2013 and the model was discontinued in early 2018. Filling System Takes international style cartridges and converters. An unused cartridge or two will be included with the pen. Standard converters are too long. The Monteverde mini converter does not fit. Kaweco squeeze converters may work. Color Copper cap, barrel, and section with stainless steel clip. The clip is bulletproof and the particular copper is tellurium. Nib Broad Titanium Bock nib, very smooth. Titanium nibs are semiflexible and with the broad point, the writing variation is good. See the writing sample below. Condition Excellent condition. The copper is a nice orange-brown with some patina. The tarnish looks a bit like pitting marks, however it can be polished to be shinier. It has some fingerprint marks on it and the clip has a mark.